The bearded lady of the circus sideshow was something of a novelty usually fake, and quite humorous. But for an extraordinary number of women, excessive facial hair is no laughing matter. For some women even the ever so slightest amount of what they perceive as noticeable facial hair is “excessive”. Women in the millions pluck, bleach and otherwise attack facial hair on a weekly basis. All women have certain amount of facial hair. Of course on dark haired women even the “normal” amount is more noticeable. All women will experience an increase in facial hair growth as they age. But just what is considered a normal facial hair growth for the average woman? Hormonal levels throughout a woman’s lifecycle determine all of her hair growth. Prior to the onset of puberty hair over all of a woman’s body, including the face is very thin and fine hair called vellus. As the level of male hormones increase during puberty, the hair under a woman’s arms and pubic area becomes thicker, what are known as terminal hairs. In some women the increase in a male hormones also causes the fine vellus hair on their faces to become thicker, darker terminal hairs. As women age certainly facial hair can become more apparent. Any woman who compares the prevalence of facial hair at age forty to that when she was in her twenties, will see more facial hair. But that is primarily due to changes in the skins surface and is not hormonal. As a woman reaches the age of menopause, the increase in the level of androgens (male hormone) that occurs can lead to somewhat of an increase in facial hair. Facial hair in men and woman is related to genes. If a girl has a father who is particularly hairy of the face and body, it is likely that although a female she may have a greater problem with facial hair. Because of the stigma attached to excessive facial hair, for many women even the slightest bit of facial hair is too much. For others noticeably detectable hair above the lip, even if it can be a normal feature due to their genetics, and not any kind of medical condition – can be a source for painful embarrassment and ridicule. While for some women the sight of any facial hair is cause for alarm, there is a proportion of women for whom excessive facial hair is a true medical condition called Hirsutism. In this case excessive facial hair is not as a result of her normal genetics, or aging – but is due to an over production of male hormone. This kind of androgenic hirsutism is often accompanied by other changes that would indicate such an imbalance such as a deepening of the voice or reduction of breast tissue. Most often the diagnosis found for excessive facial hair if there is a source of increased male hormone production is Polycystic Ovarian Disease, or PCO. Women with PCO often will experience other symptoms in addition to excessive facial hair, such as infertility and/or changes in your menstrual cycles. The good news is once diagnosed PCO can be effectively treated with medication. Increased levels of male hormone that lead to increased hair growth can sometimes be indicative of a serious condition such as a tumor of the adrenal glands. However, hair growth alone would rarely be a symptom of such a condition. Sometimes there can be a very simple and easily corrected reason for a woman to have an increased level of male hormones. Certain Birth Control pills and other contraceptives can have this effect. As can any over the counter nutritional supplement containing DHEA. As beauty is in the eye of the beholder, so too is excessive hair growth. For the woman who has no known hormonal problems, but is still self-conscious about body hair their is an entire industry based on hair removal. Some are temporary and require daily or regular treatments, other methods are more permanent. There have been dubious claims about hair removal products and methods. 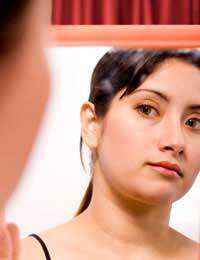 Short of surgical intervention, the only 100% proven permanent method of removing unwanted facial hair is electrolysis. In electrolysis electricity is applied directly into the hair follicle destroying it’s ability to regenerate hair. If the excessive hair growth has been diagnosed as PCO or some other form of androgenic condition there are several oral medications available that have proven to be effective in returning hormonal levels to balance, and reducing the presence of unwanted facial hair.